It’s through the roof. 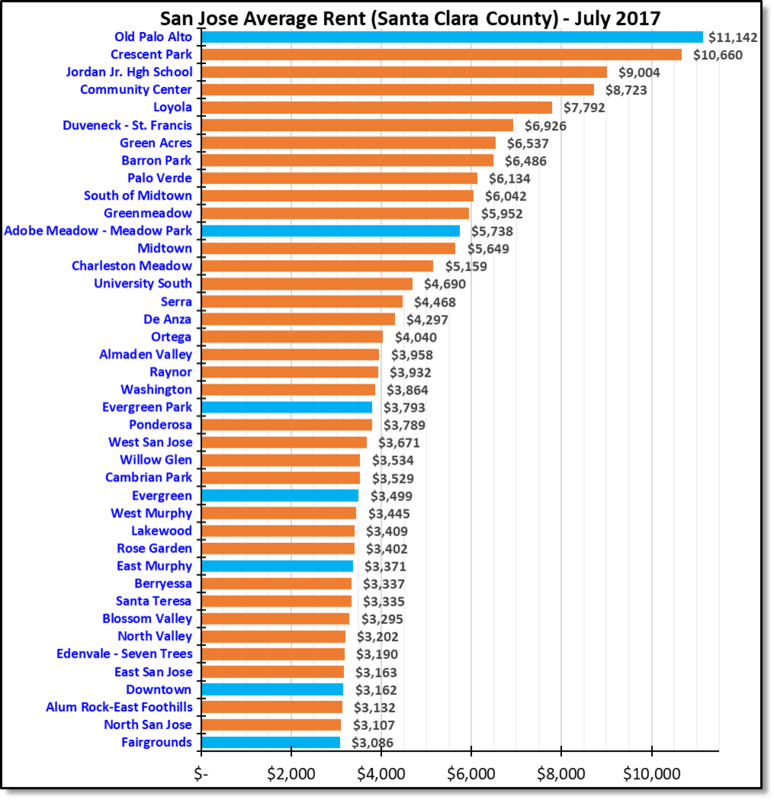 Median rent for San Jose by neighborhoods, July 2017. There is a huge variation with rent varying from $3k in Downtown to $11k in Old Palo Alto. Note this data from Zillow includes all size of houses, therefore it’s more useful as a comparison between neighborhoods than finding actual prices (which can vary significantly by size of house). As you pointed out, this is too general to compare. One option would be to look at zip codes and combine census data that shows the kind of renter homes in that zipcode (for example, http://www.city-data.com/zips/94085.html, search for ‘bedrooms’ on that page). Sanketh – thanks for your input. The zipcode data starts to become cumbersome, but might be more meaningful. Let me give it a try. I corrected the typo: this data is indeed median. Good catch.